Whether travelling for work or pleasure, Kingsbridge Private Hospital can deliver a fast track Travel Clinic, individually tailored to suit your needs. Read our Travel Clinic blog. Don’t let an avoidable problem ruin your trip of a lifetime…book your travel assessment today! As you head off to go on holiday this year you may not even have considered the need for travel vaccinations. If you are a business person and needing to visit other countries you too may not have considered the need for vaccinations. Travel vaccinations are an added expense on top of a holiday or a business trip, but they may save your life! Before travelling, all of us should ensure that our normal vaccinations are up to date, like Tetanus (which needs a booster for every 10 years up until you have had at least 5 booster vaccinations in your life), Polio, Diptheria, TB (BCG) etc. There are a few simple rules that may help you to decide if you may need a further vaccination or not. The rules are that if we are travelling to Australasia, North America and Europe we do not need vaccinations. Some Carribean islands and some parts of South America do require vaccinations. Africa, India and many parts of South East Asia and the islands of the Indian Ocean will undoubtedly require important vaccinations. 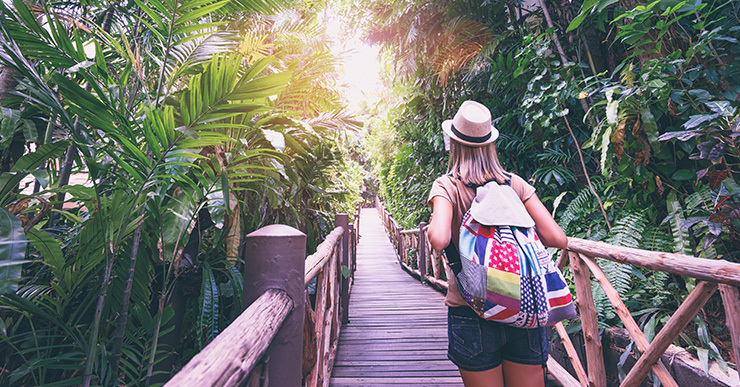 The closer to the equator that you travel, and the more off the beaten track that you go, the more likely you are to need some sort of travel vaccination or preventive treatment. Infections may come from insects biting us, from what we eat or drink being infected or having some sort of infestation, or from animals and poor hygiene in certain areas. It is important to stress that there is no 100% guarantee with any vaccination, but they should protect us by encouraging our body to produce protective antibodies to these various serious illnesses. Common illnesses encountered abroad are the vomiting and diarrhoea bugs, and most of these are not preventable by vaccination. Simply by adhering to good hygiene, not drinking or teeth brushing with un-bottled tap water, and ensuring that you eat in reputable places, you may reduce your risks. You can never completely avoid these, as some are air-bourne viral gastro enteritis bugs. It is important, especially in hot countries to have rehydration fluids ie powders you can mix with bottled water and take until the infection passes out of your system. Please see your local pharmacy for advice on what to choose to take with you. Malaria is passed to humans by infected Mosquitoes, and the treatment of choice is prevention of mosquitoe bites especially at dusk and overnight. Sleeping under a mosquitoe net and using repellents, and covering up are all important habits to adopt in endemic areas. It can be fatal, and early medical intervention is ALWAYS advised. The symptoms are like a severe flu, occurring about 7-10 days after being bitten by an infected mosquitoe, however symptoms have been known to occur up to a year later. Anti-malarial treatments are tablets that are a nuisance to remember to take, but they could save your life. The typical vaccinations required are Hepatitis A and Typhoid, but other vaccinations like Rabies, Japanese B encephalitis and perhaps most important of all Yellow Fever, may be required. In the case of Yellow fever, you may need to carry a certificate to prove that you have been vaccinated in order to get into some countries as a visitor! Other vaccinations are for Hepatitis B and Meningitis ACW and Y.
Malaria prevention is essential for many countries too, and the Malaria map changes slightly with the migration of mosquito populations. The type of preventive medication changes too as resistance builds up in certain areas so it is very important to receive the most up to date information about taking Malaria tablets during and after your stay. We would always encourage people to seek medical advice about vaccinations as the recommendations for various countries change, often from month to month. Hepatitis A is a reasonably common Gastrointestinal infection which can give you vomiting and diarrhoea and also a liver infection. This is rarely fatal, but is serious enough to require hospital admission some times. This is passed to humans by the hand to mouth route, and usually because someone who has been preparing food for you has had poor hand hygiene. You cannot prevent other people from having poor personal habits, but you can be vaccinated against this. Typhoid fever is a serious and life threatening infection which can cause multiple organ failure. It is a bacterial infection in the salmonella family and is highly contagious in endemic areas. Poor sanitation is associated with this infection and it is rare in the developed world. The vaccination protects most people but obeying the hygiene rules is also important as the vaccine is not 100% protective. For those not vaccinated treatment with prompt intravenous antibiotics is usually curative. Rabies is a viral infection which targets the brain and is transmitted from animals to humans by biting- the usual suspects being dogs, rats, bats, cats and monkeys. It is important to get prompt medical supportive treatment as this is not curable by a course of tablets etc, and can cause serious illness and often is fatal. Japanese encephalitis is also a viral infection passed from animals or insects (like mosquitoes) to humans. It is usually seen in rural areas with lots of water and woodland – rice fields or swamps. It is a serious infection requiring hospital treatment too. Yellow fever is still a very serious viral infection in sub Saharan Africa, and some parts of South America and the Carribean. It is rare, but very serious. It is a high fever with headaches, nausea and vomiting and muscle aching. In 15 % of people it is very serious with jaundice indicating liver failure, kidney failure and half of this group will die. Vaccination is protective for up to 10 years, BUT, it must be given at least 10 days before travel to an endemic area. You may need a yellow fever vaccination certificate to be able to gain entry into some countries, especially if travelling through an endemic country to another country. There are a variety of useful places where you can find more information before you travel. We do advise that you fill in our online travel form which will be assessed for your individual requirements by a travel nurse at the Kingsbridge Private Hospital Travel Clinic.